Windshield Insurance - Are You Covered For A Cracked Windshield? Does Your Policy Include Coverage For Windshield Damage? Do you have windshield insurance? Are you covered for windshield chips, cracks, and damage? Drivers don’t give it much though until you’re driving down the road and BANG! A stone flew up and hits your windshield. You immediately see a stone chip or crack. It won’t take long before that little chip or line spreads across your windshield, creating a safety hazard that could compromise your windshield. After you recover from being startled, you start to consider your options. Do you leave the chip alone and hope it doesn’t spread? Do you file an insurance claim for windshield repair or replacement? Do you pay for the repairs out of pocket? Windshield insurance, also referred to as windshield repair insurance, or windshield coverage, is a type of coverage that is commonly included in comprehensive insurance coverage. 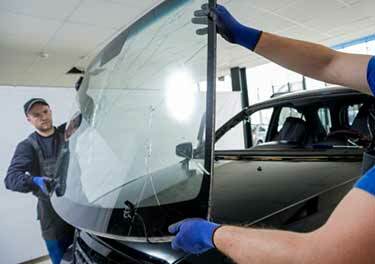 It covers the cost to repair or replace your windshield should it get damaged, chipped or cracked from stones and other debris coming into contact with the windshield. Is Windshield Replacement Covered Under Insurance? It depends on your coverage. In most cases, auto glass repair and damaged windshields are covered under comprehensive coverage. You’ll be covered if a rock or other object hits your windshield while driving. If you have full glass coverage, you may not be required to pay the insurance deductible. Should I Make A Windshield Insurance Claim? Windshield damage is one of the most common types of insurance claims. Whether or not you should file a windshield insurance claim depends on the type of windshield damage. A simple repair costs significantly less than a windshield replacement. Insurance companies usually cover chips and minor repairs without you having to pay a deductible if you have comprehensive coverage. Always compare the pros and cons of filing a claim. If you have the money to pay for the repairs out of pocket, it may make sense to avoid the time and effort of filing a claim. You’ll also keep your insurance record claims free. Even though a windshield insurance claim may not impact your rates now, if you have claims on your record now or need to file a claim in the future, it could cause your rates to increase. Cracked Windshield and Insurance – What If I Don’t Have Coverage? If you don’t have comprehensive coverage, windshield replacement and repair may not be covered and you will likely have to pay for repairs out of pocket. Avoid delaying the repair. 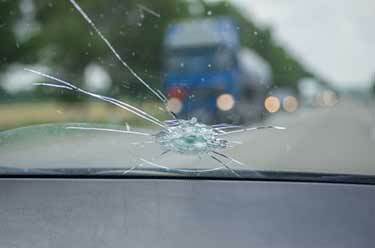 Cracked windshields can reduce your visibility and can be a safety hazard. The structural integrity of your vehicle could be compromised and provide less protection if you were involved in an accident. Is A Pitted Windshield Covered By Insurance? Pitting is the natural aging of a windshield. It’s caused by sand, dust, and other debris coming into contact with the windshield over an extended period of time. Pitting causes small craters to form, which can distort the sunlight and impact your vision. Since pitting is considered wear and tear, it’s not commonly covered by your insurer. Speak with your insurance company to get clarification if a pitted windshield is covered. Is A Cracked Windshield Covered By Insurance? It depends. If your windshield was cracked by a rock when you were driving and you have comprehensive coverage, then it will most likely be covered. If the windshield was cracked in another way, it may or may not be covered based on the circumstances of the damage. Are Windshield Scratches Covered By Insurance? Yes. If you have a comprehensive insurance policy, scratches should be covered under your policy if they occurred as a result of flying stones or a negligent act (vandalism). Check your policy to verify what is covered. Is Windshield Chip Repair Insurance Included in My Policy? Chip repair is typically included in comprehensive polices. 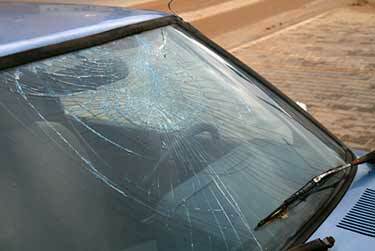 Many insurers will waive your deductible if you are simply repairing your windshield to prevent a crack from happening. Check your policy to verify what is covered. Yes, if your windshield is required to be replaced because of damage from a rock or other debris, it will be covered under your comprehensive coverage. You may be required to pay a deductible. Check your policy to verify what is covered. How Much Does A Windshield Cost To Replace Without Insurance? The amount it will cost to replace your windshield without insurance will depend on a number of factors – the severity of the damage, vehicle type, who you get to replace it, and if you choose a new or used windshield. Even if you choose to file a claim and have your windshield replaced by insurance, you may still have to pay the deductible. It’s worthwhile to compare quotes for auto glass from a number of windshield repair and replacement shops to find the best price. Does Windshield Replacement Affect Insurance Rates? A windshield replacement claim will not usually increase your insurance rates. Whether or not a claim will increase your rates varies by insurer. However, if you already have a claim on file, your rates could be affected. Having insurance pay for your windshield replacement does add a claim to your record, which could indirectly affect your rates if you needed to file a more significant claim in the future. Staying claims free is usually the best option. Does Windshield Claim Increase Insurance? It depends. If you have a claims free record, one windshield claim every 5 to 7 years will not likely increase your insurance rates. However, if you have multiple claims in a short period of time, your rates could increase. Should I Use Insurance To Replace My Windshield? This is a question many drivers debate. Do you use insurance or pay out of pocket for a windshield replacement? Whether or not to use insurance depends on the replacement cost, deductible cost, if you can afford to pay for the replacement, and if the claim will impact your rates. In general, it’s a good idea to pay for your replacement out of pocket if you can to avoid the claim. If you have to pay the deductible anyway, why not pay a little more and save yourself the claim process and potential insurance rate increase. Filing an insurance claim for a window replacement is rather simple. If you have comprehensive coverage, you can open up a claim with your insurer just as you would with any other type of claim. Or, some windshield repair companies will bill your insurer directly for the work. If you have questions about the claim process, please give us a call. We’re happy to assist you with all your windshield insurance needs. Will My Insurance Go Up If I Replace My Windshield? It depends. If you don’t file a claim and pay for the replacement yourself, your rates will not go up. Even if you file a windshield replacement claim, your rates may or may not increase. Does Car Insurance Cover Windshield Damage? Yes. Comprehensive insurance covers windshield damage. Check your policy to verify what is and is not covered. A Rock Hit My Windshield. Is It Covered By Insurance? Yes. Typically windshield damage caused by a rock hitting your windshield is covered under your comprehensive coverage. Is A Broken Windshield Covered By Insurance? It depends on how the windshield was broken. 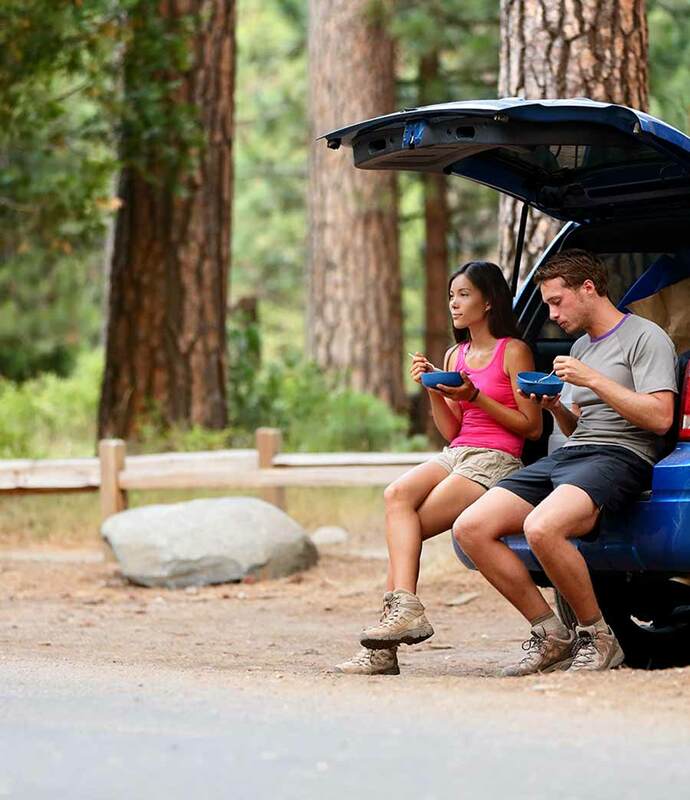 If it was broken during an accident or by a rock, it will likely be covered under your policy. Will My Insurance Go Up For A Cracked Windshield? 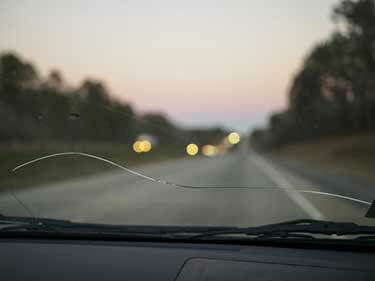 Your insurance rates may or may not increase as a result of a cracked windshield claim. Speak with our brokers about your specific situation. Does Car Insurance Pay For Cracked Windshield? Yes, if you have comprehensive insurance coverage. 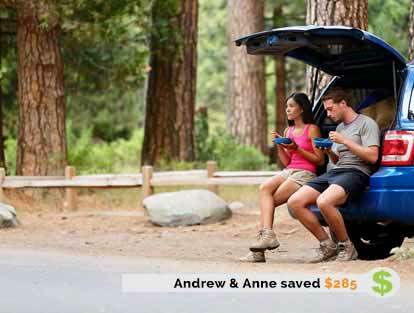 But, you may be required to pay a deductible. Comprehensive insurance coverage covers windshield replacements and damage. Does Gap Insurance Cover Cracked Windshield? No. Gap insurance does not covered windshield cracks, damage, or replacements. Does Comprehensive Insurance Cover Windshield Replacement? Yes. Comprehensive insurance is the type of policy you will need to get windshield replacement and repair coverage. How Much Is A New Windshield Without Insurance? The cost to install a new windshield can vary based on your vehicle type. It can range from a few hundred dollars to more than $1000. 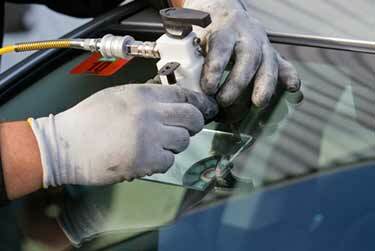 Visit an auto glass specialist in your area to get a quote for your vehicle make and model. Does Liability Insurance Cover Windshield Replacement? No, liability does not cover windshield replacement or repair costs.